The overall goal of the ERA-NET Cofund MarTERA is to strengthen the European Research Area (ERA) in maritime and marine technologies as well as Blue Growth. 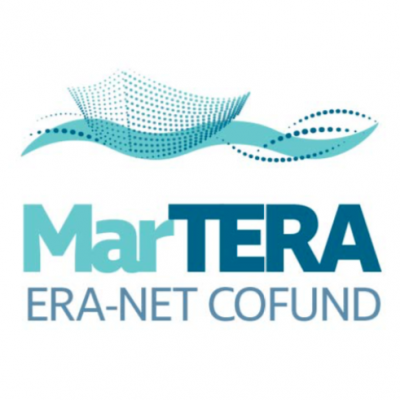 The ERA-NET Cofund MarTERA is a network of 18 ministries, authorities and funding organisations responsible for funding research and innovation projects in maritime and marine technologies from 16 countries. The consortium has organised and co-funded, in cooperation with the European Commission under Horizon 2020, a joint call for transnational research and innovation projects on different thematic priority areas in 2017 and will launch further calls. Sectors with a high potential for sustainable blue economy like waterborne transport, shipbuilding & ship repair, offshore and sub-sea activities, monitoring and observations, can support sustainable growth in the marine and maritime sectors as a whole and use the potential of Europe’s oceans, seas and coasts for jobs, value and sustainability. Technological breakthroughs are of importance for improving ocean governance, which is by itself a big market for maritime industries recalling that European countries spend approximately 1 billion Euros annually on purchasing and running infrastructure to monitor the seas and oceans. The positive effects of cooperation will lead to an increase of marine or maritime investments which subsequently strengthen the industrial innovation and secure jobs. The realisation of a European research and innovation agenda needs a broad and systematic cooperation in all areas of ocean observations and monitoring, waterborne transport, offshore activity, marine resources, aquaculture etc. covering all relevant maritime and marine sectors and regions for their sustainable development. The ERA-NET Cofund project will continue improving implementation of joint activities and has ambitious goals for funding transnational research. MarTERA aims at further deepening, broadening and strengthening the established transnational cooperation based on the experiences gained and the existing cooperation structures of former ERA-NET Maritime Technologies (MARTEC I and II). With the cooperation of MARTEC and JPI Oceans, a broader variety of topics with a larger amount of funding will be available for the transnational projects. Funding of the projects is decentralized, so each country participating in the call gives funds to their entities. The proposals submitted to the call must be submitted using a procedure before the strictly-enforced deadline. The proposals are evaluated in order to identify those whose quality is sufficiently high to give guidance to national recommendations. There is an urgent requirement for coordinated actions across the EU in order to tackle the challenges arising across a large number of sectors related to the oceans. The need for highly-specialised marine equipment, more efficient and greener waterborne transport systems, clean energy, increased seafood production, technologies for reliable ocean observations, and safe marine and maritime operations etc. calls for substantial innovations with respect to the whole spectrum of marine and maritime technologies. • To create critical mass and address the needs for technologies in marine and maritime operations. The Annexes of this document provide a matrix of the Priority Areas funded by each participating country/region and the National Regulations. Please be aware that not all the Priority Areas are funded by each participating countries/regions. It is required that each partner in a consortium contacts his/her National Programme Managers(s) to be informed about the rules in his/her country/region prior to submission of a pre- proposal and a full proposal. The MarTERA Call Office, hosted by Projektträger Jülich, Forschungszentrum Jülich GmbH, Germany, is the central contact point for applicants regarding all technical and general issues of the submission. The Steering Committee (SC) will be composed of one representative per participating funding organisations and will be the decision-making body in the framework of this call. Each participating funding organisation in this call has nominated NPM(s) to provide information on national/regional funding rules and procedures. It is required that each partner in a consortium contacts his/her NPM prior to the submission of pre-proposals. The total sum of all eligible costs which is necessary for the implementation of the foreseen project. Regarding the conditions for eligibility of costs please contact your NPM. Reimbursement rate of the eligible project costs which will be applied per partner according to the national/regional programmes. The research projects initiated by this call can apply for funding or will get guidance (see National Regulations) from the partner institutions of the MarTERA consortium listed below. The participation of applicants from other countries is allowed, if a national organisation is willing to fund successful national participants. In this case, the commitment of this must be provided upon submitting the pre-proposal. Applicants should note that, in some countries, several funding organisations participate in the call with different organisational rules and priorities. In these countries also, applicants must pay attention to the National Regulations and contact the NPMs. The indicative total available budget amounts to 14,6 million €. The project coordinator of an applying consortium has to submit a pre-proposal on behalf of the consortium, providing key data on the future project proposal. The deadline for the submission of the pre-proposal is 29.03.2019, 17:00 CET. Submission of a full proposal by the coordinator of the applying consortium. The deadline for full proposal submission is 06.09.2019, 17:00 CET. The Annexes of this document provide the contact information of the National Programme Manager (NPM) in each participating country/region and the National Regulations. It is required that each partner in a consortium contacts his/her NPM(s) to be informed about the rules in his/her country/region prior to submission of a pre-proposal and a full proposal. MarTERA ensures complete confidentiality to applicants, i.e. the proposals will only be read by the national/regional funding organisations and the mandated experts responsible for the evaluation of the proposal. Experts appointed for the evaluation will sign a confidentiality agreement and will be asked to declare any conflict of interest. The proposals will be handled by the MarTERA Call Office. Only the publishable information of the selected projects for funding as listed in chapter 3.6 will be published at the end of the process. The research projects submitted to this call can be depending on the National Guidelines/Regulations fundamental research, industrial research or demonstration projects. For further information about this, please see the Priority Areas Matrix. - The proposed research and innovation project must be consistent with the scope and objectives of this call and with the national/regional thematic priorities of the countries/regions involved in the project (see Priority Areas matrix). National/regional priorities are described in the National Regulations and/or can be communicated by the National Programme Managers (NPMs). - The proposed project must relate to (at least) one of the sub-themes listed in the Priority Area Matrix of this call. - The proposal should be novel and not correspond with on-going or completed projects funded by other instruments, programmes or projects. - Project consortia consisting of at least two independent eligible legal entities from at least two different European Member States or associated countries listed in chapter 3.2 can apply for funding. Legal entities/consortia from Belarus are eligible for funding as well but they must have in their consortia at least two independent eligible legal entities from at least two different European Member States or associated countries listed in chapter 3.2. - The project proposals must involve industry. As national funding rules are applied, some topics or partners may not be eligible in all participating funding organisations (e.g. some programmes fund only academic but no industrial partners and others request industry involvement). The eligibility of a partner can be assessed by checking the Matrix of Priority Areas or by contacting the National Programme Managers (NPMs). - The proposals should strive to be balanced between the countries involved in the project as far as the volume of work is concerned. - In every proposal, one of the entities has to act as coordinator who has the responsibility for submitting the proposal. - There is no upper limit of eligible consortium size. Consortia may involve as many partners as necessary to achieve the project goals. However, applicants should be aware that a higher number of represented countries in a consortium will not automatically result in a positive evaluation of the proposal. There is also no upper limit of partners from the same country, unless stated otherwise in the National Regulations. - Partners who are not eligible for funding, including partners from countries not participating in this call may participate at their own expense or if they have their own separate source of funding. The applicants have to prove (letter of intent/commitment) the willingness of other partners to fund their own activities. They have to follow the rules given in this Call Announcement. However they cannot coordinate a project and their contribution to the project should not be vital. They are not taken into account in the minimum requirement of eligible partners and countries in the MarTERA eligibility criteria. - The eligibility of each applicant has to be checked according to the national criteria published in the National Regulations before submission. National/regional programme specific rules apply. Contact your national/regional funding agency for further information. The national/regional funding organisations can provide detailed feedback on possible eligibility and budget criteria. - The project costs for individual project proposals must meet the project goals and take into account the national eligibility criteria about minimum and upper limits of costs. - The budgetary issues, including potential restrictions for funding should be checked in the National Guidelines and by contacting the National Programme Managers (NPMs). - The total amount of funding requested from a national funding organisation in a proposal may not be higher than the total available budget of this organisation. - Project consortium costs should be balanced. - The project duration is max. three years (36 months). - The earliest possible starting date for projects will be fixed at the beginning of the contract negotiations with the national funding organisations. - Additional national/regional regulations may apply to permitted lengths, possible start and end date of projects. - The pre-proposal and the full proposal must be submitted correctly and completely before the respective deadlines via the MarTERA Online Submission Tool (www.martera.eu) according to the Application procedure (chapter 5) and the Guidelines for Proposal Submission (see MarTERA web pages). Applicants should note that failure to comply with the submission rules will cause ineligibility of the project and therefore exclusion from the application process. - The proposal must be written in English. - Each pre-proposal submitted correctly and on time will be checked for eligibility as a whole. This means that failure of one partner within the consortium to meet the criteria will cause the entire project to be rejected. Each applicant is therefore strongly recommended to contact his NPM to ensure eligibility. The above criteria apply to all partners. These represent the minimal requirements and do not exclude more specific criteria. Partners from countries/regions participating in the call must also meet the national criteria as outlined in the National Regulations. Details can be requested from the NPM.